As a priest, and the rector of St. Augustine’s, Fr. Kevin Maney helps members of the congregation to identify our gifts and to use them in ministries for the Kingdom of God. In his sermons, Fr. Kevin seeks to make God’s Word in Scripture relevant to the challenges in our lives today. You can find a copy of sermons and meditations on his blog, The Anglican Priest. Fr. Kevin has a Ph.D. in Educational Technology from the University of Toledo, and he taught at the high school and college level for over 30 years. He completed his studies for a Diploma in Anglican Studies at Trinity School for Ministry in Ambridge, PA, and did his coursework almost entirely online. He was ordained as a transitional deacon in the Convocation of Anglicans in North America (CANA) on February 9, 2008 and as a priest in CANA on May 1, 2008. 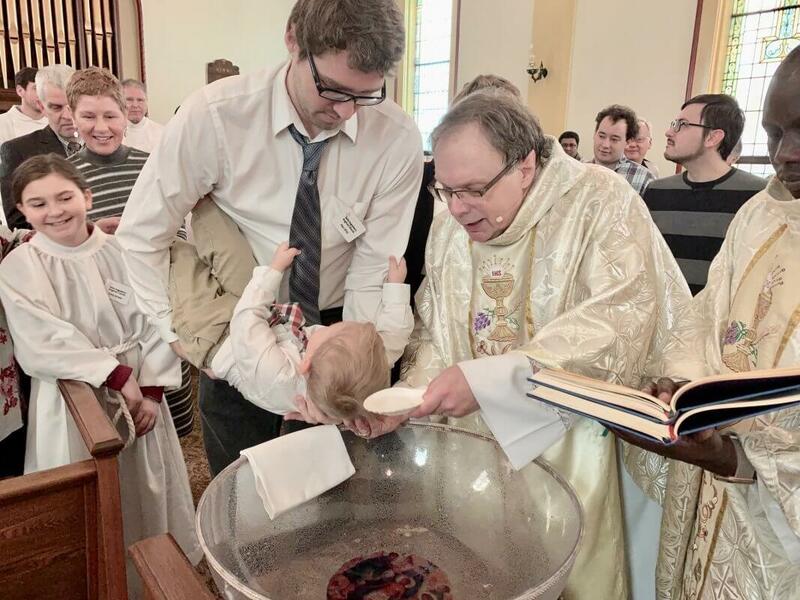 He began as the priest for the new parish plant, St. Augustine’s Anglican Church in Columbus, OH, part of the Anglican Diocese of the Great Lakes and the Anglican Church of North America (ACNA). 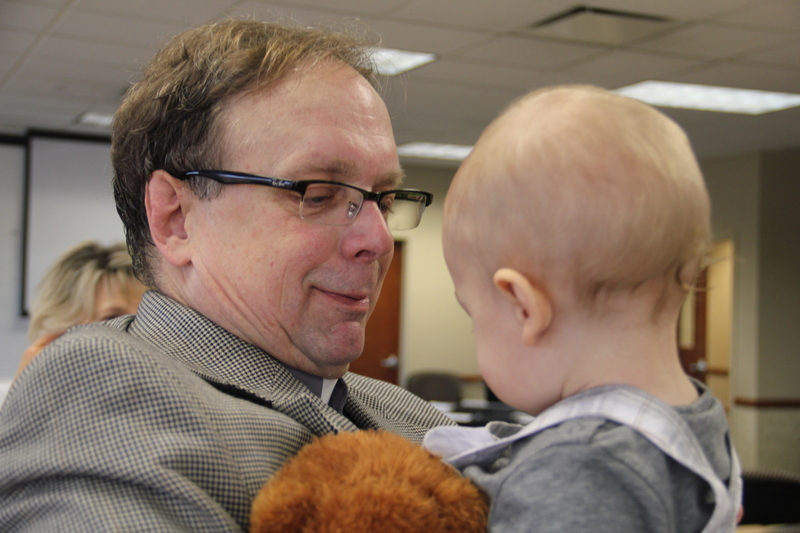 He continues as the rector of the parish, which affiliated with the diocese of CANA East (ACNA) on March 1, 2019. Fr. Kevin is married to Dondra, an Ashland University supervisor who serves as the Director of Communication and Music at St. Augustine’s. Fr. Kevin’s son lives in San Francisco, CA, and his daughter lives in Denver, CO.
One of Fr. Kevin’s gifts is teaching; he has a wry sense of humor; and he loves the Lord and pastoring His people. Come meet Fr. Kevin this Sunday at St. Augustine’s Anglican. 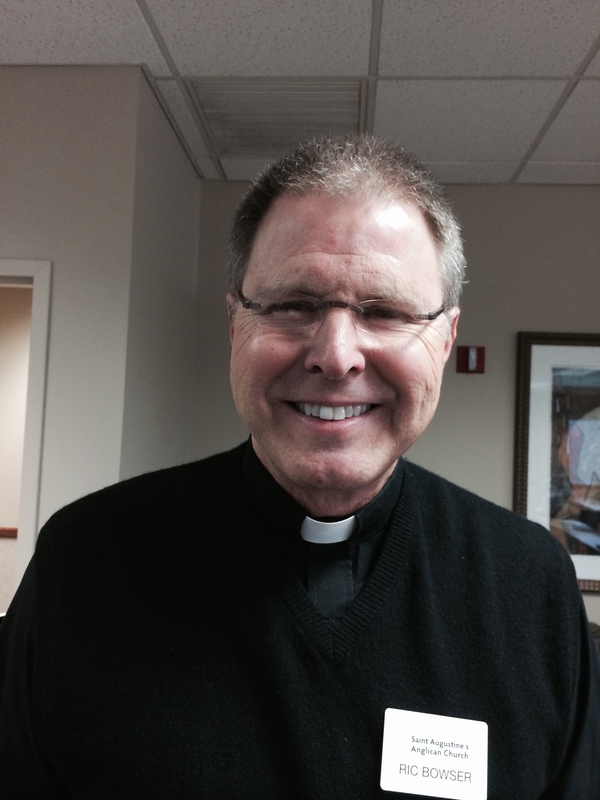 Associate Priest, Fr. Philip Sang, loves the Lord and His people. He has a passion for the Lord to see the African community fellowship with the American community as brothers and sisters in the Lord.Fr. 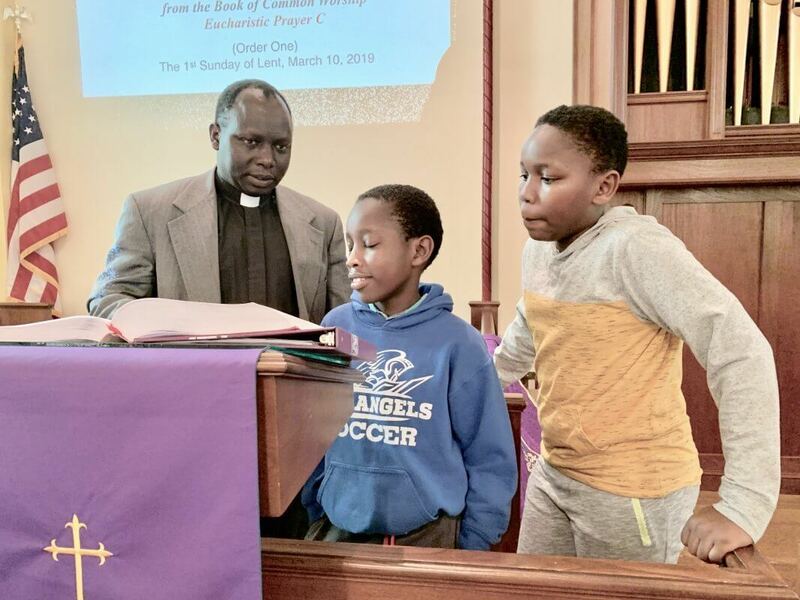 Philip Sang has a Master’s degree in Religion from Emmanuel Christian Seminary TN, Degree in Bible and Theology from African Theological Seminary Kitale Kenya, and Certificate in Anglican studies from St. Paul’s Theological College- Kapsabet Kenya. He worked as a Bible Translator for 10 years and completed the New Testament translation into Marakwet, the language of Kenya. He was ordained as a transitional deacon in the Anglican Church of Kenya, Diocese of Kenya on August 31, 2008 and made priest on December 27, 2009. 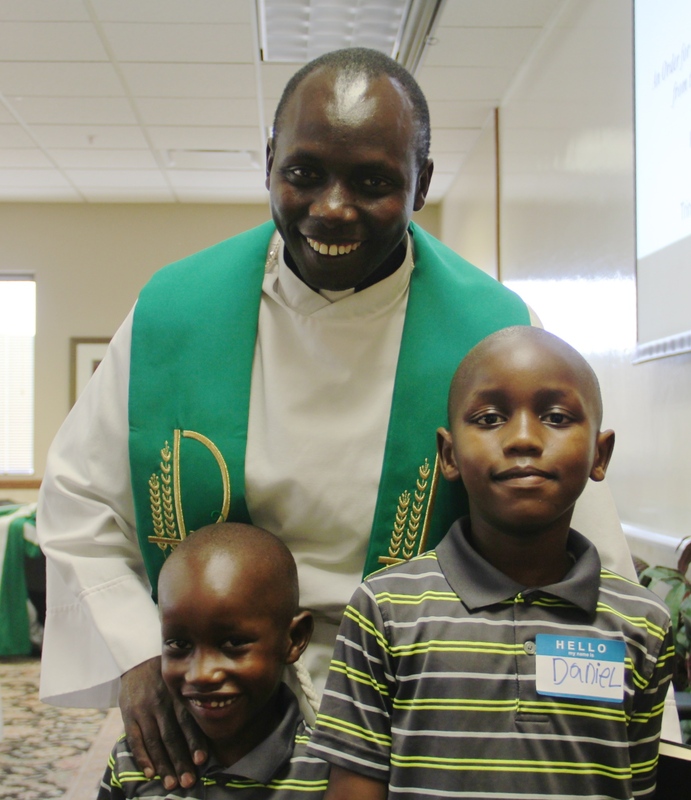 He served as a curate in Tot Missionary Area in Diocese of Kitale Kenya and as a student he served at St. John’s Episcopal Church in Johnson City, TN diocese of East Tennessee. As a servant Fr. Philip seeks to help the church think beyond borders and reach out to the unreached with the love of God. With others in the international Christian community in central Ohio, he is leading a new gathering called Victory Point Fellowship. You can find out more by clicking here. Fr. Philip and his wife, Philarice, have three young sons. Click here to contact Fr. Philip. Associate Priest, Fr. Ric Bowser, has a Master’s Degree in Pastoral Psychology and Counseling and is a Licensed Professional Counselor and the founder of Family Counseling Ministries. Recently ordained as an Anglican priest, he was ordained and ministered much of his life in the American Baptist Churches USA. Prior to becoming a full-time counselor, he pastored churches in Ohio and West Virginia. Ric also spent six years as a social worker, more specifically as a child welfare investigator in the social welfare system in the state of Ohio. For 10 years, he served as an adjunct faculty member for Ashland University, teaching both on campus and in the adult prison system. At the heart of Ric’s life is his own family. He and his wife Val have been married since the spring of 1970. God has richly blessed them with three married children who have each embraced a belief in family and have “been fruitful and multiplied,” producing 11 grandchildren to date. Click here to contact Fr. Ric.